1Conquest % Cash Back. Stackable % Cash Back for customers who have owned or leased a 2005 or newer Non-GM Vehicle for a minimum of 30 days. Allowance Available on Retail Program info. Compatible with % Off and % Conquest Private Offer ONLY. All Programs Effective Until 4/30/2019 Unless Otherwise Indicated. 2Must qualify through GM Financial. Not available with special finance, lease, or some other offers. Take delivery by 04-30-2019. See dealer for details. 3Not available with special finance or lease offers. Take delivery by 04-30-2019. 4The dealer in this advertisement & their marketing firm are not responsible for errors or misprints. Prior Sales Excluded. All incentives to dealer. Vehicle photos intended for illustrative purposes only. *Maximum cash savings on in-stock units only while inventory supplies last. 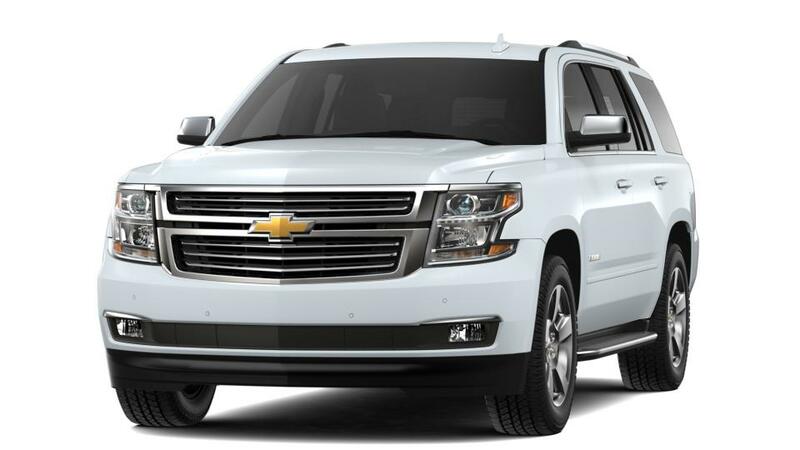 $8,337.00 cash savings in lieu of any special finance rates and cannot be combined with leases,special APR or any additional coupons or offers including GM Discount Programs. $8,337 maximum savings specific to stock #N305460, 4WD Premier with MSRP $76,330.00. Your total savings and "buy for" price will vary based on availability and the vehicle you choose. $8,337.00 is the total and maximum savings after all rebates, coupons and dealer discounts. Savings include GM Supplier Pricing plus rebates, including GMF Down Payment Assistance; must finance through GM Financial at standard rate (lender approval required) and Chevy Conquest Cash Rebate - must prove ownership or lease a qualifying 2005 or newer non-GM vehicle. Advertised pricing does not include tax, title, DMV, or $79 Dealer DOC Fee. Offer applies to qualified retail purchase only when financed through GM Financial. See dealer for complete details. All offers expire 4/30/2019.